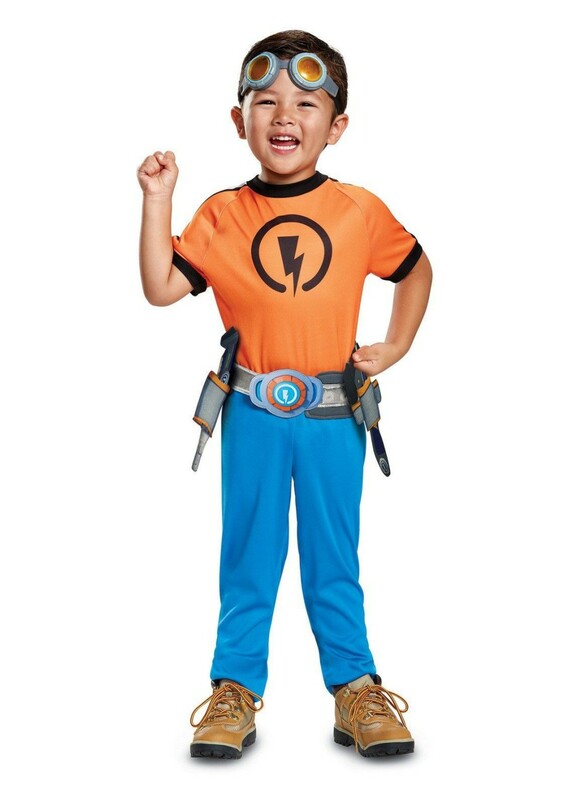 Costume includes Jumpsuit, printed belt and toy goggles. Available in sizes Toddler (3T-4T) and Small (4-6). Recycling is the way to go! Rusty uses his imagination to find ways to repurpose old and used items to create new inventions! With his imaginative and creative mind, you can do anything! Become Rusty with this jumpsuit, printed belt, and toy goggles! Review(s) for " Rusty Rivets Boys Costume"